Free: Introduction to iOS at Ottawa Public Library! Auditorium) on Thursday Dec 06, 2018 at 6:30pm, ByMUGers David and Tom will spend two hours presenting “Introduction to iOS“. Everyone is welcome – but please register as last time the event was standing room only! Note: The meeting start time has been moved to 2:00pm! For December’s meeting Tom will talk about using PhotoSweeper to clean up his photo library, we’re going to talk about using Hazel to automate many file management tasks, and then we’re going to roundtable our favourite podcasts, YouTube channels, and other media we’ve collectively found in 2018! The meeting takes place on Sunday, December 2, 2018, at 2 p.m. at Patty Bolands, located at 101 Clarence Street. 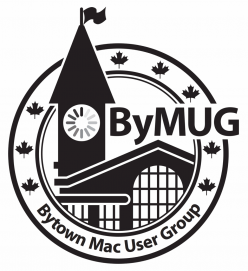 In partnership with the Ottawa Public Library, ByMUGers David and Tom will be presenting Introduction to iOS at the main branch at 120 Metcalfe street in downtown Ottawa. Everyone is welcome – but please register as last time the event was standing room only!